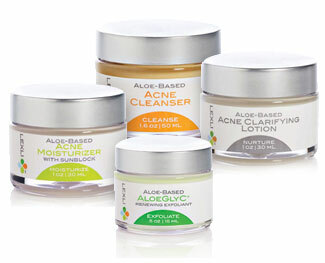 Experience the acne improvement that starts with aloe. 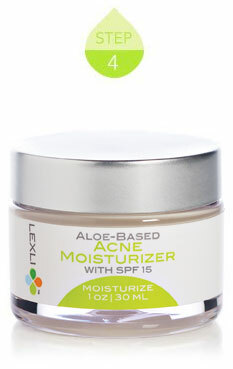 The Lexli Acne Kit is among the most potent and comprehensive acne treatments available over-the-counter. 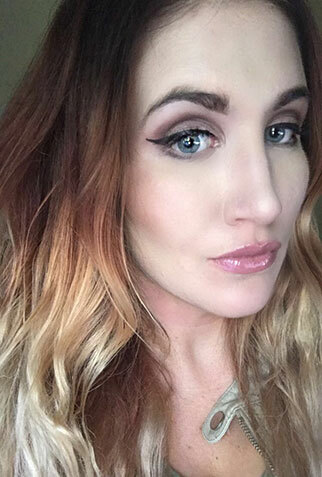 The products in the Kit work in concert to address all four of the main causes of acne, allowing it to not only heal blemishes quickly but minimize the potential for future breakouts, as well. Gently removes dirt, debris and excess oil from the skin's surface while deep-cleaning the pores. Clears breakouts and eliminates skin congestion while reducing the potential for future breakouts. Promotes the shedding of dead skin cells that can block pores while stimulating the production of collagen. Hydrates and protects skin, while aiding in the moderation of sebum levels and minimizing acne bacteria. 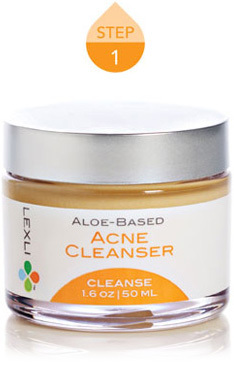 With Lexli, acne has become a thing of the past for countless individuals. But don't take our word for it. See for yourself some of the incredible improvements Lexli customers have experienced. 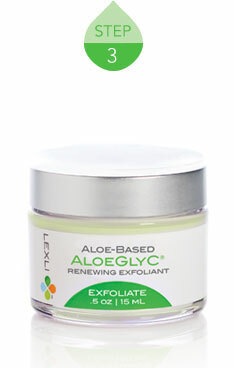 Each Lexli acne product offers a base of organic, pharmaceutical-grade aloe, the purest form available, to calm inflammation and expedite healing. Most acne products use a base of water, which offers no therapeutic benefit. 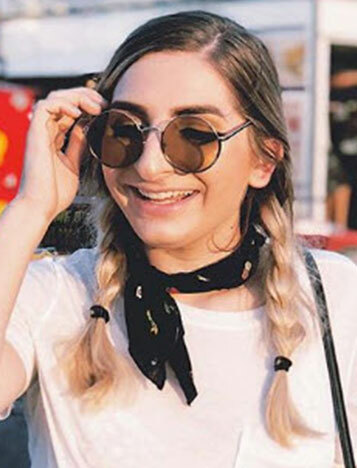 When products in the Lexli Acne Kit are used together, they address all four of the main causes of acne to not only eliminate breakouts but improve skin’s overall health. This is key to minimizing the potential of future breakouts. Like all Lexli products, the Lexli Acne Kit is formulated by Dr. Ahmed Abdullah, a board-certified plastic surgeon and recognized aloe researcher. Additionally, all products are paraben-free and Leaping Bunny approved. Studies show that the skin of those with acne generally has reduced levels of antioxidants. Therefore, products in the Lexli Acne Kit are loaded with antioxidants like vitamins A, C and E to boost the skin's ability to fight free-radical damage. 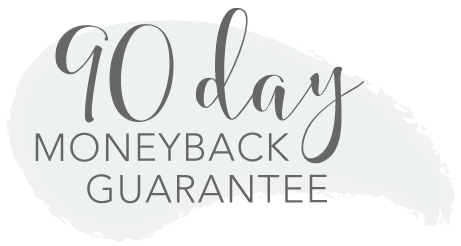 We are so confident that the Lexli Acne Kit can improve your acne that we offer a 90- day moneyback guarantee. 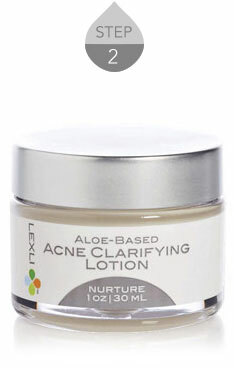 If you don’t like the Lexli Acne Kit for any reason, return the unused portion for a refund (within first 30 days) or store credit (within days 60- 90).